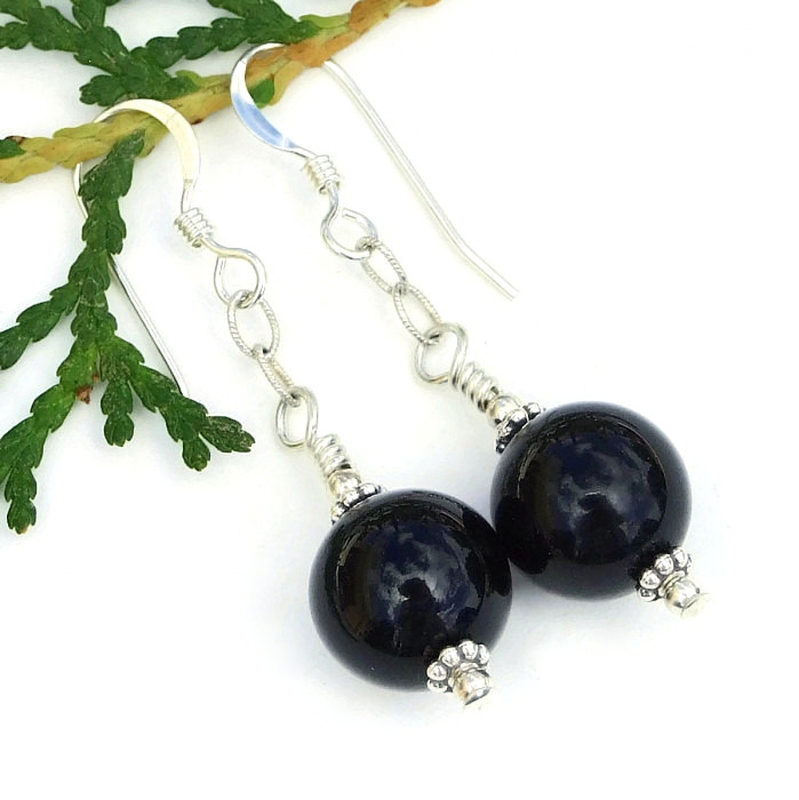 Every woman needs at least one beautiful pair of gleaming black onyx gemstone and sterling silver dangle earrings. 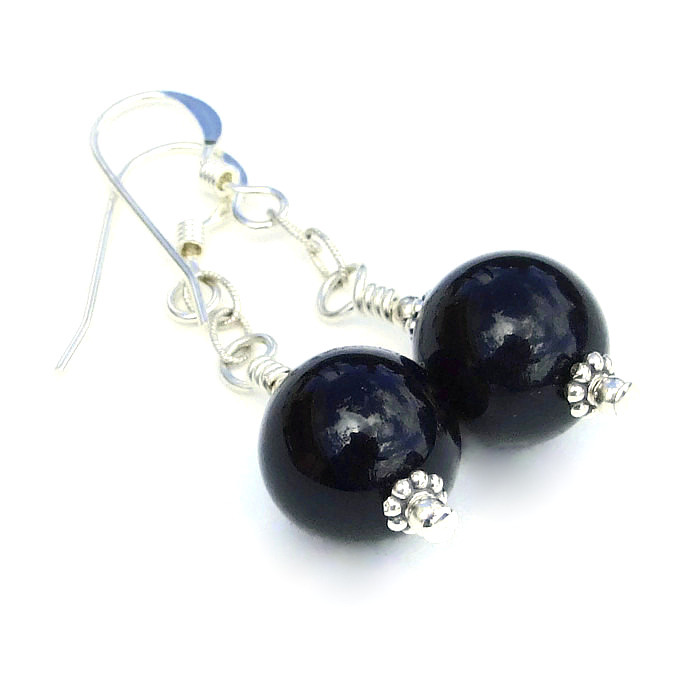 These stylish MIDNIGHT earrings are the ones for you! 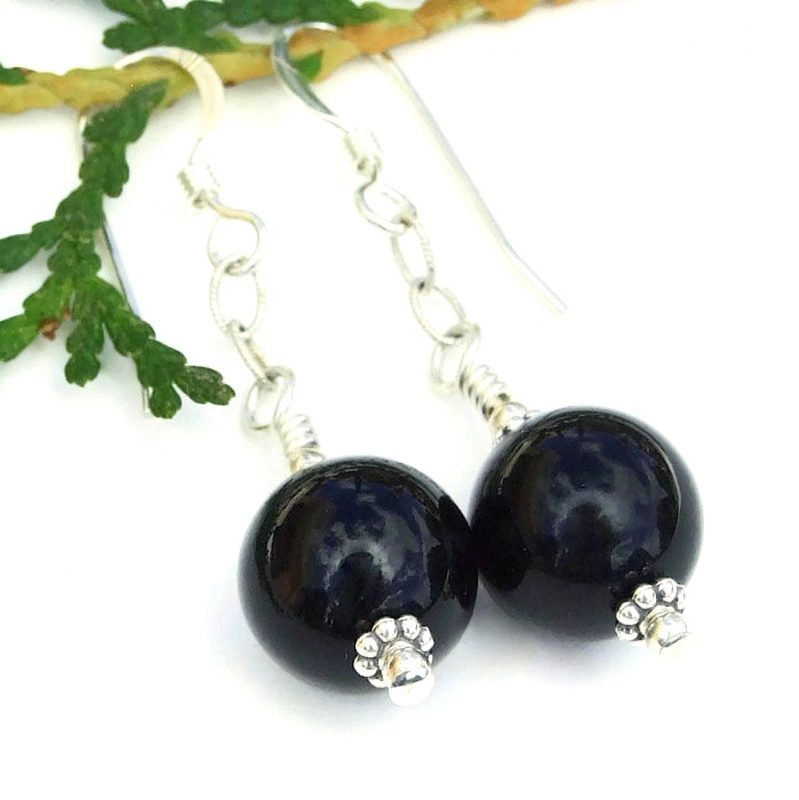 The charming handmade earrings were created with high shine black onyx rounds (you can see my reflection in them) and sterling silver. 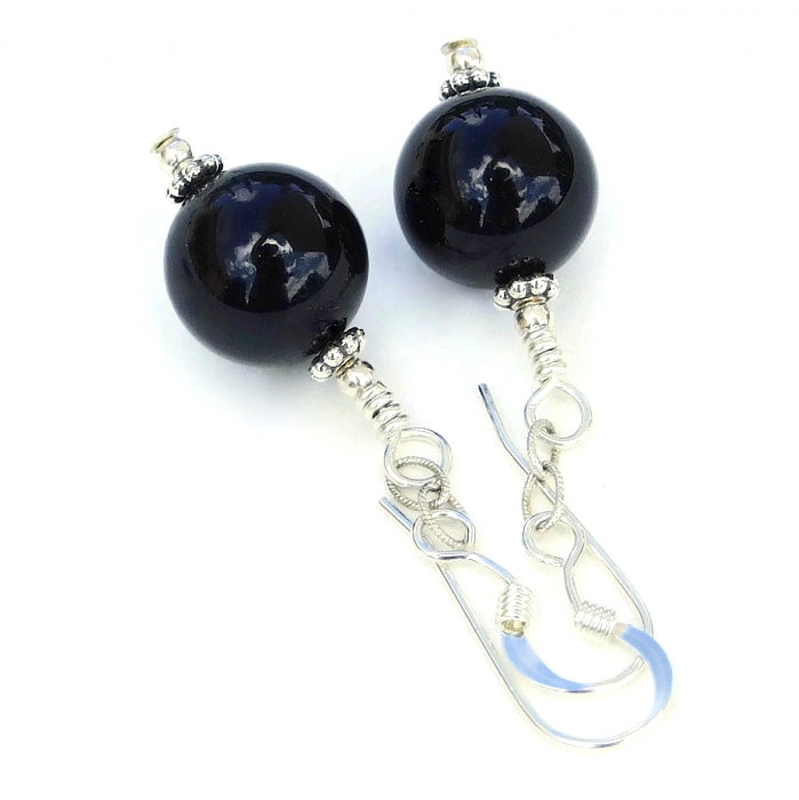 Two links of textured cable chain added between the gemstones and the earwires add a great amount of flirty movement with each turn of the head. 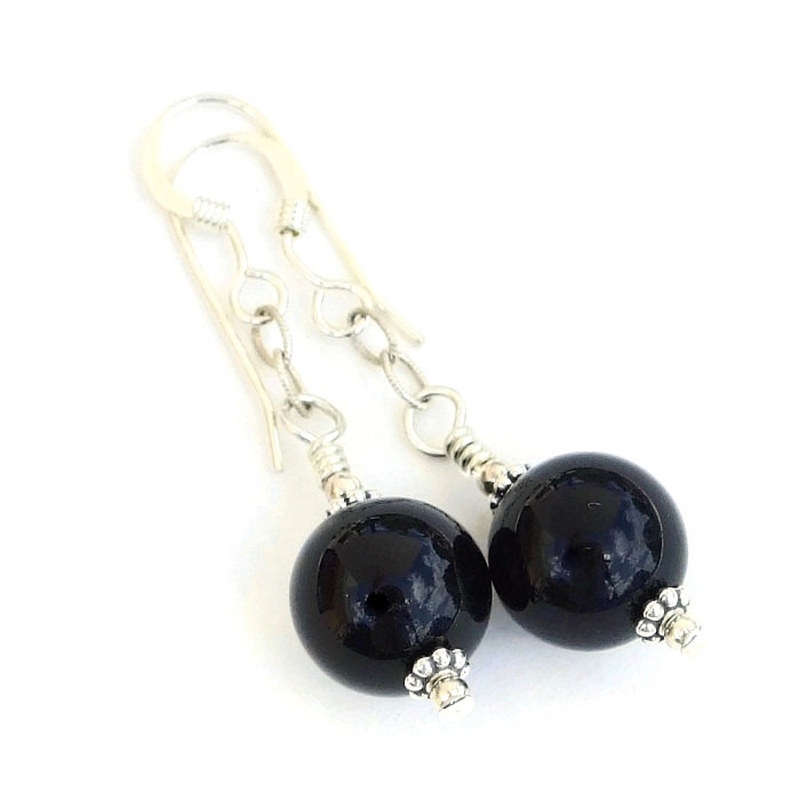 Perfect jewelry for dress up, for the office or with casual clothes, these beauties will quickly become your favorite "go to" pair of earrings since they are an ideal accessory for all your wardrobe needs. 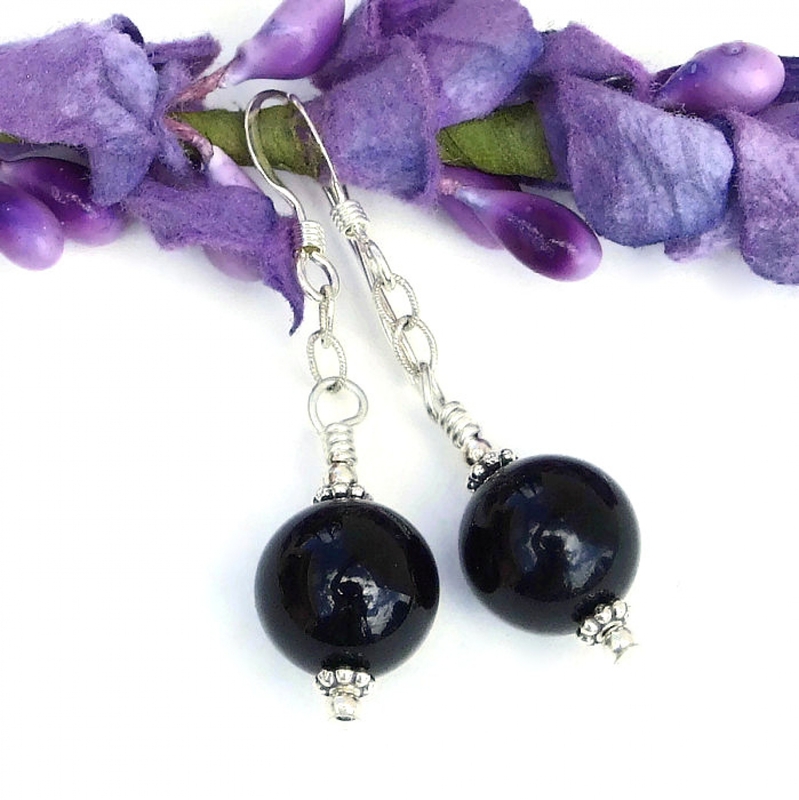 Created for the woman who dislikes massed produced jewelry and adores one of a kind artisan jewelry, the MIDNIGHT earrings were carefully designed and handmade by Catherine of Shadow Dog Designs. 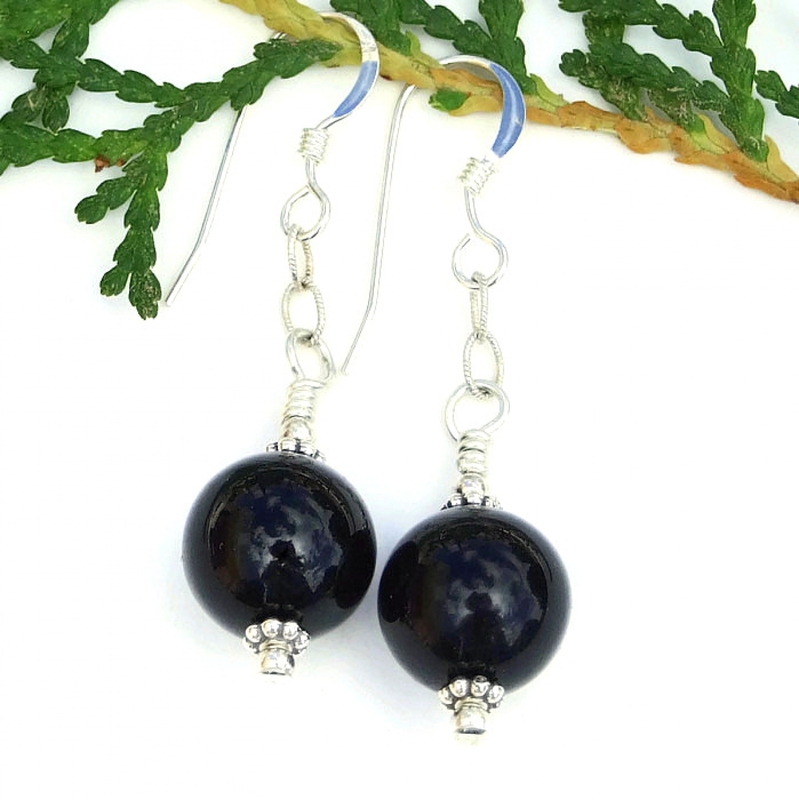 *** For a better understanding of the size of the unique MIDNIGHT black onyx and silver earrings, please see photo # 6 for a size comparison with a dime. 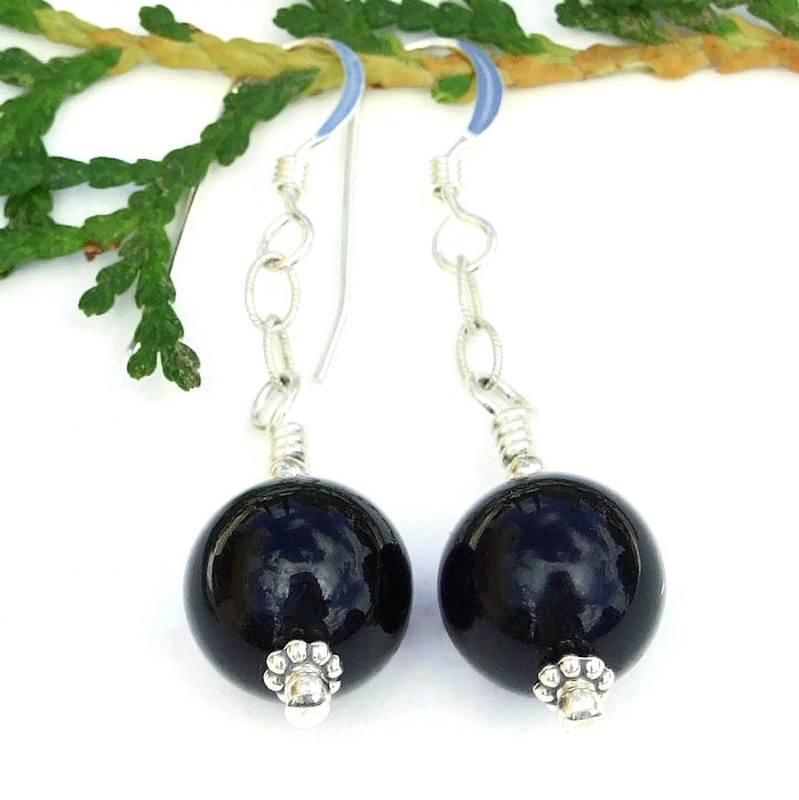 Black Onyx is believed to be a powerful protective stone and is used as a defense against negative thinking; it is said to bring balance to mind and body and helps the wearer approach a task with greater self confidence. Silver is a metal of love and healing; it is believed to be a mirror to the soul, helping us to see ourselves as others see us. 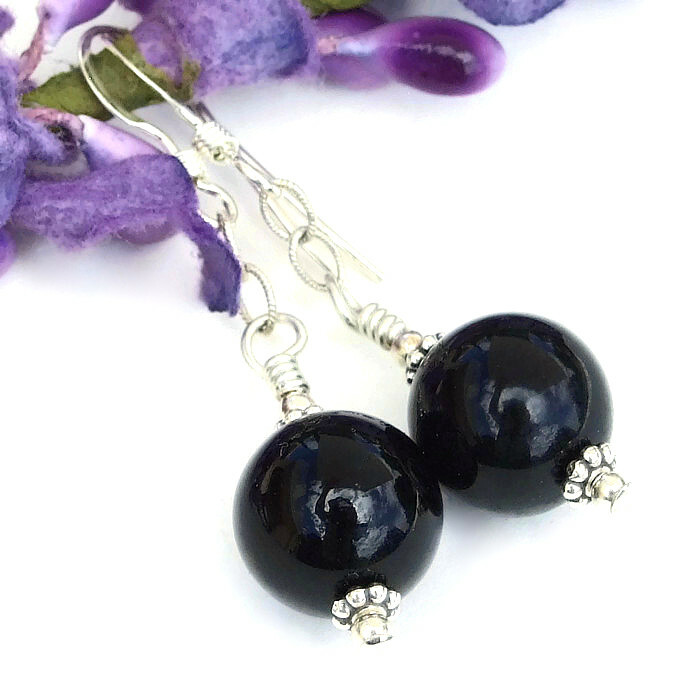 The beautiful MIDNIGHT earrings were carefully designed and handmade in a dog friendly, smoke free studio. 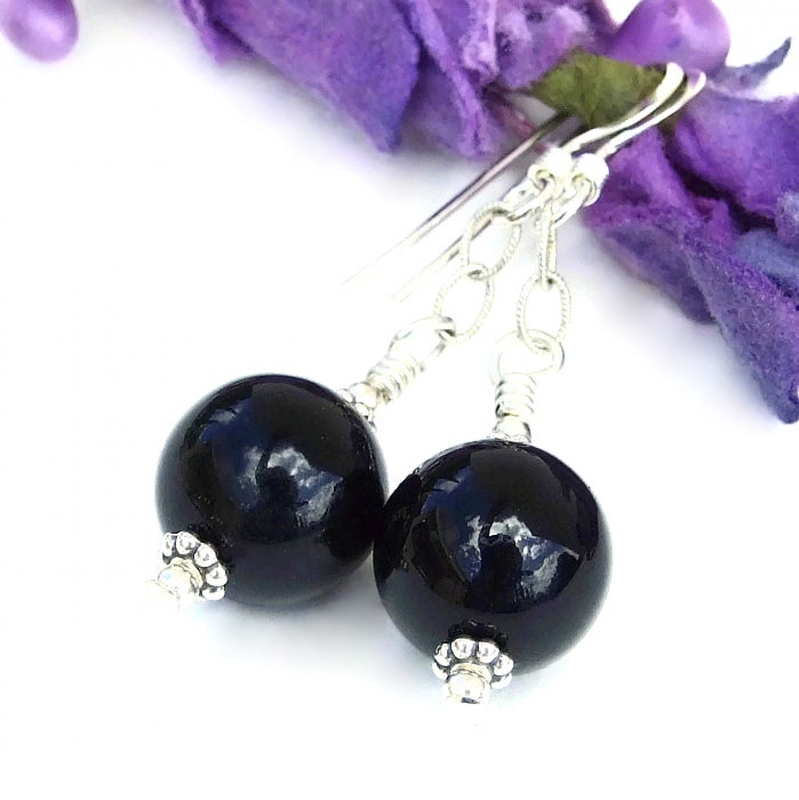 They will be carefully packed in an organza jewelry bag with tissue, perfect for gift giving to a loved one . . . or to yourself!